Despite claims they had prehistoric plumage, Ornithomimus fossils are devoid of feathers. Fuzz on an Ornithomimus fossil found in 2009 supposedly fluffs out the feathery picture of this dinosaur paleontologists commonly call the “ostrich mimic.” Building on a previous claim that Ornithomimus had feathered ostrich-like wings, the latest research demonstrates that its so-called feathers were reduced to fibrous wisps on most of the body and that the hind legs were virtually bare. The latest study, published in an October 2015 issue of Cretaceous Research, builds on assertions in another study from a few year’s ago. 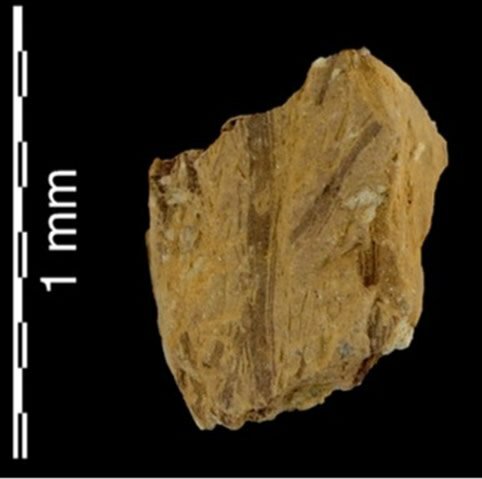 As we discussed in “Feathered Dinosaurs Found in Canada?,” Darla Zelenitsky’s team found some straight markings on another Ornithomimus fossil’s front leg bones. Measuring up to a quarter of an inch long, her team thought the lines were what the insertion points of shafted feather quills would look like if fossilized. Therefore, they interpreted these as proof that Ornithomimus had abundant wing feathers. When we say “builds on” we mean that quite literally, for the fossil studied by van der Reest’s team had no preserved front limbs nor any bones with the markings like those described in Zelenitsky’s specimen. Therefore, they include photographs of Zelenitsky’s fossil in their study.1 This helps them complete the picture they paint of a very ostrich-like dinosaur strutting about with plumaceous wings, downy body, and naked legs. This is a magnified photograph of filaments preserved near the fossil’s pelvis. The filaments have no features clearly distinguishing them as feathers and appear to be lying across one another. However, the authors of the study offer this as a typical example of their fossil’s “clearly branching plumage.” (To get an idea of the size of these fibers, look at the scale bar and recall that a dime is 1.35 mm thick.) Image reproduced from A. van der Reest et al., “A Densely Feathered Ornithomimid (Dinosauria: Theropoda) from the Upper Cretaceous Dinosaur Park Formation, Alberta, Canada,” Cretaceous Research 58 (October 28, 2015): 108–117, doi:10.1016/j.cretres.2015.10.004. By “chemistry” Dr. Wolfe means the supposed composition of the filaments. Although not mentioned in the study, according to a University of Alberta press release, “scanning electron microscopy reveals a three-dimensional keratin structure to the feathers.”4 Keratin is a polymer that forms tough connective tissue. Feathers are made of keratin, but so are rattlesnake rattles, reptile scales, turtle shell scutes, human fingernails and outer skin layers, the surface of antelope horns, mammalian hair, and claws in many reptiles, amphibians, birds, and mammals. Keratin, like collagen, another protein found in connective tissue, is a comparatively large molecule. However, a more extensive analysis than that mentioned in the press release would be needed to establish that the dino-fuzz was really keratin. It could have just as easily been bits of collagen from torn ligaments, or the remains of some other frayed and frazzled connective tissue. In any case, the authors did not publish the result of any test to identify the composition of the fibers, much less report any additional analysis to positively identify their molecular structure. And keratin—if it is present—is not at all unique to feathers. Furthermore, the published close-up photographs demonstrating the “clearly branching plumage” the authors saw over much of their fossil’s body show many compressed filaments, some laying across one another like pick-up sticks in a child’s toy, but they reveal no features that mark them as feathers. It would have been helpful to the scientific community if the published work had included some of those magnified scanning electron micrograph images of the very fine filaments, rather than simply photographs, in order to evaluate the authors’ claim that they are unambiguous, distinct feathers. It appears likely that the confident declarations that this Ornithomimus is adorned with feathers—repeated again and again in the study—have no more substance behind them than Zelenitsky’s feathery claims about her fossil. This is the artist’s conception of Ornithomimus based on interpretations of marks on bones and dino-fuzz as feathers. Despite its distinctly un-birdlike heavy tail, this dinosaur’s name literally means “bird-mimic.” Image created by Julius Csotonyi and reproduced from A. van der Reest et al., “A Densely Feathered Ornithomimid . . . ” doi:10.1016/j.cretres.2015.10.004. Whatever this fossilized dino-fuzz represents . . . nothing about them would make an unbiased observer see an ostrich’s plumage. So even though modern ostriches have plenty of genuine—and easily visible—feathers covering most of their bodies where this fossilized ostrich-mimic has only some densely packed, extremely fine filamentous material, van der Reest’s team claims that the two animals had virtually identical plumage. After looking at the photographs of the fossilized filaments, however, we must marvel at how loosely these authors use the words virtually identical and plumage! Whatever this fossilized dino-fuzz represents—and it could be the remains of any number of connective tissue components associated with the dinosaur’s skin, bones, or skeletal muscles—nothing about them would make an unbiased observer see an ostrich’s plumage. This fossil is from Upper Cretaceous strata dated at 75 million years. Given that modern-appearing birds show up in the fossil record in strata dated as early as 130 million years,7 Ornithomimus is rather a late-comer in the supposed evolutionary transition from dinosaurs to birds. Nevertheless, the authors of the study see not only its dino-fuzz but also a web of skin not previously noticed on dinosaur fossils as proof of its transitional place in the evolutionary story. This line drawing shows the thigh bone (femur, f) as well as other hind limb bones—the fibula (fl), tibia (t), a metatarsal (mt IV)—and a pelvic bone (sac—supraacetabular crest). The brown region marks preserved cartilage. Blue lines show some thin filaments. Grey indicates preserved dinosaur skin. The skin stretched across the dinosaur’s hip joint, apparently attached to the upper thigh, is labeled “afw” (anterior femoral web). The evolutionary authors interpret this skin as evidence the dinosaur was evolving into a bird by beginning to enclose its thigh and knee inside the body. Image reproduced from A. van der Reest et al., “A Densely Feathered Ornithomimid . . . ” doi: 10.1016/j.cretres.2015.10.004. The authors interpret the web of skin across the groin, however, as a first step in the supposed transformation of the dinosaur’s skeleton to a bird’s. You see, a bird’s thigh bones and knees are located up inside its body. (This arrangement is crucial to a bird’s respiratory anatomy, as we illustrated in “Lizard Breath Fails to Support Kinship with Birds.”) The authors believe the skin stretching from the upper thigh to the hip of their fossil was a transitional step, an early effort by evolution’s mindless, random processes to enclose the thigh and build a bird. Of course, the skin is just skin. Nothing about it, short of an imaginative animation, can show it gradually enclosing the dinosaur’s thigh and knee to help it evolve into a bird. Furthermore, even if the dinosaur’s thigh and knee were somehow stuffed up into its body, the crucial respiratory function of a bird’s legs, helping to move air through its unique lungs, would still not exist, making the unwieldy anatomical arrangement of dubious evolutionary value. Finally, if the authors think they’ve found the transitional form that shows the early stages in this process, they need to step back and broaden their vision. In their own worldview, this animal is at least 55 million years too late, birds having already registered their appearance much deeper in the fossil record. There really are no transitional forms between different kinds of animals, and the authors of this study have not found one. The only available eyewitness to creation, the Creator of all kind of living things, tells us in Genesis that He created birds the day before He created land animals. Dinosaurs are land animals. 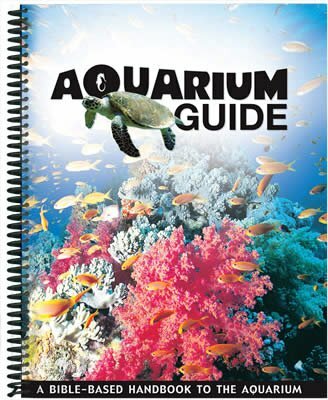 Genesis records our Creator’s plan that animals would reproduce within their created kinds. There really are no transitional forms between different kinds of animals, and the authors of this study have not found one. Furthermore, there are numerous biological problems with the evolutionary claim that dinosaurs evolved into birds. See “Did Dinosaurs Turn into Birds?” to explore these. But while learning more about the scientific problems with such overblown claims as those alluded to in this study, don’t miss the historical record provided by God in Genesis 1. The Bible’s historical record cannot be reconciled with the evolutionary interpretations superimposed on the fossil record by fallible men, but the Bible is perfectly consistent with and fully supported by scientific observations. 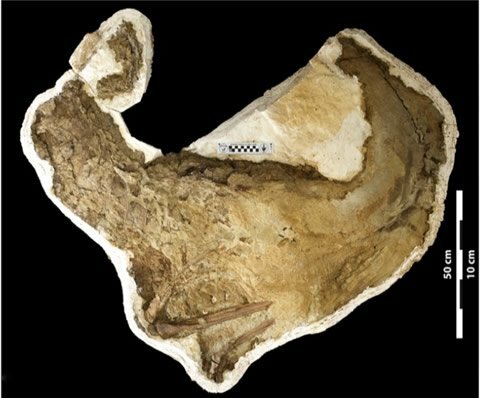 Though no upper limbs or head are preserved here, the neck bones, back, and tail of this Ornithomimus fossil from Upper Cretaceous rock in Canada was preserved in the classic sharply arched death pose that some scientists associate with immersion in water. See “Dead Chickens Tell No Tales, Though Journalists Might” to learn more about scientists’ thoughts on this dying posture. Image reproduced from A. van der Reest et al., “A Densely Feathered Ornithomimid . . .” doi: 10.1016/j.cretres.2015.10.004. Thus, this latest transitional form to be trotted out of the Cretaceous strata is no transitional form at all. Furthermore, the fact that it contains some well-preserved soft tissue—like skin—attests to its rapid burial. It is preserved in the classic “death pose”—back arched and the head and neck thrown back—that some scientists think is best explained by immersion in water. During the global Flood described in the Bible, billions of animals like this dinosaur were not only immersed in water but were catastrophically buried during a massive outpouring of our holy God’s judgment upon a world that rejected Him. Yet in the days of Noah, the Ark was a reminder of the availability of God’s grace. As we look at this fossil—a testament to the truth of God’s Word and the reality of God’s judgment for those that continue to reject Him—we should remember God today offers grace to all who will trust Him and receive salvation through His Son Jesus Christ. Feathered Dinosaurs Found in Canada? 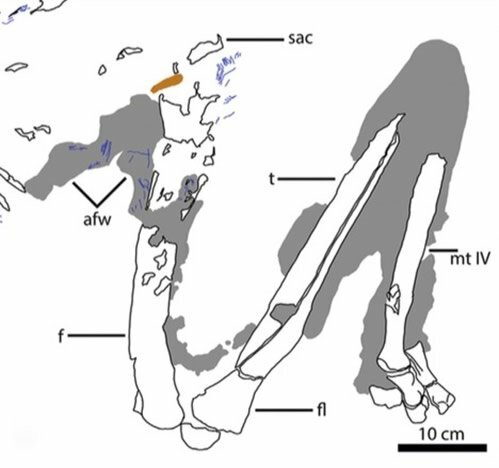 A. van der Reest et al., “A Densely Feathered Ornithomimid (Dinosauria: Theropoda) from the Upper Cretaceous Dinosaur Park Formation, Alberta, Canada,” Cretaceous Research 58 (October 28, 2015): 108–117, doi:10.1016/j.cretres.2015.10.004. “Ornithomimus: Ostrich-Like Plumage Pattern Revealed in 75 Million-Year-Old Dinosaur,” Sci-News, October 28, 2015, http://www.sci-news.com/paleontology/science-ornithomimus-dinosaur-ostrich-like-plumage-03388.html. Jennifer Pascoe, “Prehistoric Plumage Patterns,” University of Alberta, October 28, 2015, https://uofa.ualberta.ca/science/science-news/2015/october/prehistoric-plumage-patterns. 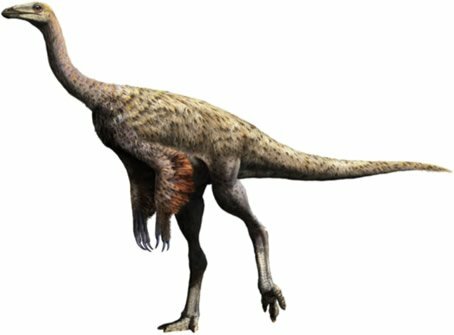 “Ornithomimus . . .” Sci-News. M. Wang et al., “The Oldest Record of Ornithuromorpha from the Early Cretaceous of China,” Nature Communications 6, no. 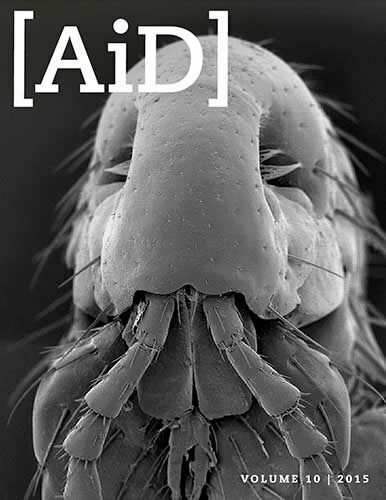 6987 (5 May 2015), doi:10.1038/ncomms7987.